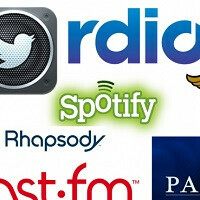 Are streaming music services good for fans, but bad for music artists? Yorke’s solo album, The Eraser has also been pulled from Spotify. Centered around the criticism is Spotify’s model and it being geared to pay artists based on the overall share of streaming taking place. It stands to reason that established artists and record labels make more from that. "Spotify’s goal is to grow a service which people love, ultimately want to pay for, and which will provide the financial support to the music industry necessary to invest in new talent and music. We want to help artists connect with their fans, find new audiences, grow their fan base and make a living from the music we all love. We’re 100 per cent committed to making Spotify the most artist-friendly music service possible, and are constantly talking to artists and managers about how Spotify can help build their careers." While the statement does not actually address the issue levied against it, there is another angle to remember when it comes to Spotify, and other music streaming services, may be having a positive impact on music piracy. Moreover, we are sure that not every artist feels this way. While that is good for the record labels, if the streaming models turn out to short change the song writers, this discussion will certain take an interesting turn. Just recently with Apple’s run up to introduce iTunes Radio, the company that arguably single-handedly changed the nature of the music industry was having some difficult times negotiating license fees with the labels. Given the size of those players it is easy to see how small labels or up-and-coming artists feel the pressure to “play ball” at the expense of being able to make a living. Streaming businesses pay labels. Labels pay artists. Labels are bad for artists, but artists sign up and give away all their rights. I think the cut is something like 85% labels, 15% artists. Exactly. Things need to be like the game industry where we have indie games, cutting out the publishers. Thats my take anyways. Is about distribution and quality of recording time. Not to mention getting the best people to write songs (for those who need them.). There are many factors why the artist receive a lower share. They (artist) may be the ones singing. But they are not the ones doing the promoting or paying the high prices for production time and the myriad of other cost related to making of an album (aka CD). If you truly want to support an artist go to their concerts. That's where they make their money. So, if you're not doing that then your part of the problem. I love streaming music. I use Microsoft Xbox music (aka Zune) and Nokia Music. I listen to the albums I think I'm interested in and if I like what I hear and find the music I enjoy I buy the music so I can have it permanently. So, streaming music works great for me. Sounds like artist need to follow in the path of the artist Macklemore and not sign with any labels. It's very possible to be successful and promote your music without signing with a major labels. One way that Macklemore did it was through the Colbert Report, which is viewed by millions. I believe that signing licensing agreements with companies that provide online music streaming will help reduce the amount of pirating that's taking around the world. Also lower album prices and have sales like physical stores and Steam. Also if an album is re-release, people who already bought it get a discount. For example you bought it for $20, then they re-release it and its $25, you only need to pay $5 to get the extra songs. All legit streaming services pay royalties from spotify to torch music... But, perhaps, the artists are expecting too much. The same guys that used to claim it was 'all about the music, and not about the money' seem to suddenly think, with this unforseen loss in revenue, that it is in fact, all about the money. Maybe for the first time in a while, musicians are being paid accurately.